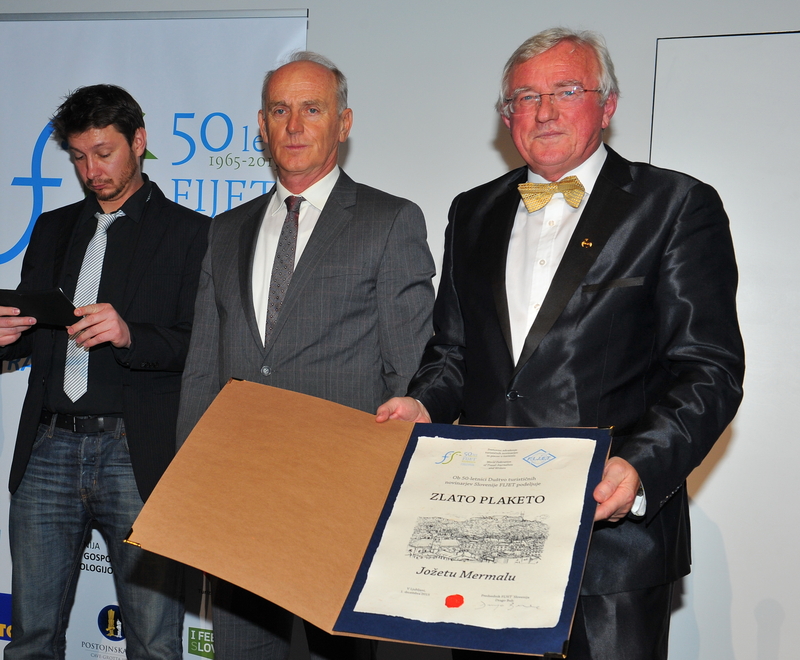 An Evening of Stars: Team BTC City Ljubljana receives award for special achievements in road cycling • BTC d.d. On Monday, the Ljubljana castle hosted the annual Evening of Stars organized by the Slovenian Cycling Federation, where the spotlight was shone on last season’s prominent cycling stars. Awards were given to individuals as well as teams in road and mountain biking, including an award for special achievements – for the second year in a row, the award went to members of team BTC City Ljubljana. Last season, members of the first Slovenian professional women’s cycling team BTC City Ljubljana proved that they can compete with the best. They crowned the incredible results attained in races across Europe with an eight place at the World Championship team time trial in the USA. The girls finished the season ranked 11th in the total sum of all world championship races and also secured the excellent final 15th place in the UCI team rankings. In addition, members of team BTC City Ljubljana were also honoured individually. As the Slovenian Cycling Federation rewarded the best individuals, male and female, competing in the national road cycling championships, the first three awards went to Alenka Novak (1st place), Anja Rugelj (2nd place), and Polona Batagelj (3rd place), all three members of team BTC City Ljubljana.